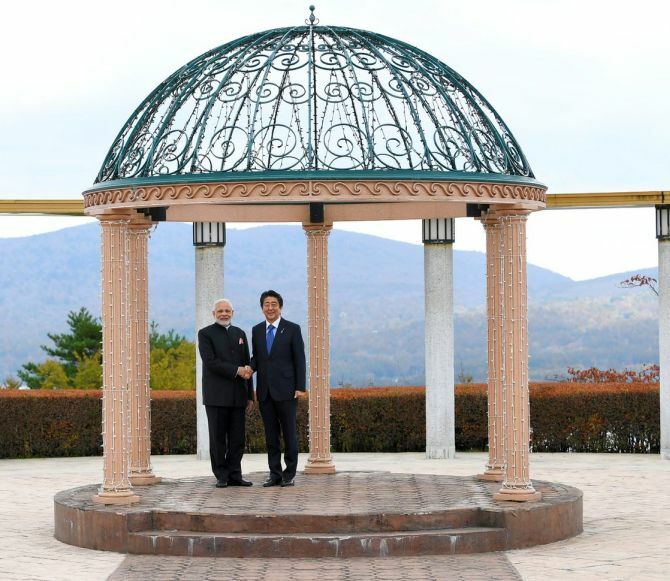 Prime Minister Narendra Modi on Sunday was welcomed by his Japanese counterpart Shinzo Abe in the city of Yamanashi. 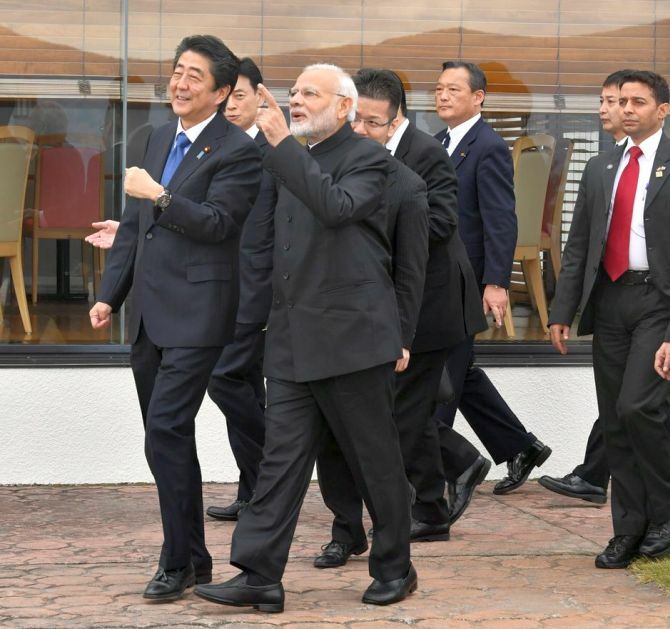 PM Modi, who landed in Tokyo on Saturday, has a packed schedule during his two-day visit to attend the 13th India-Japan summit. 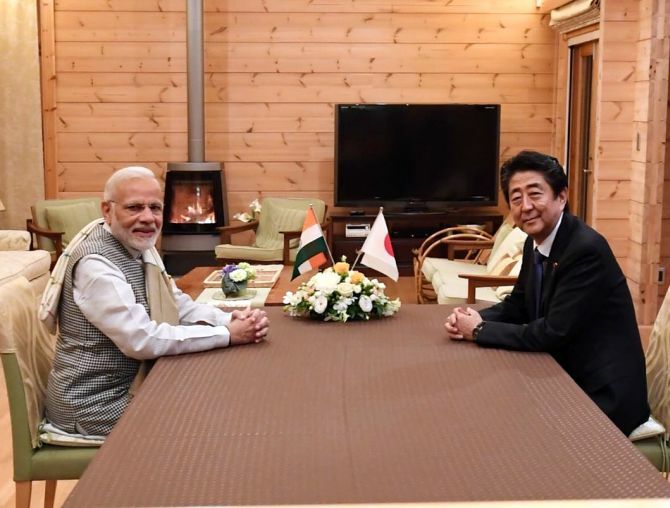 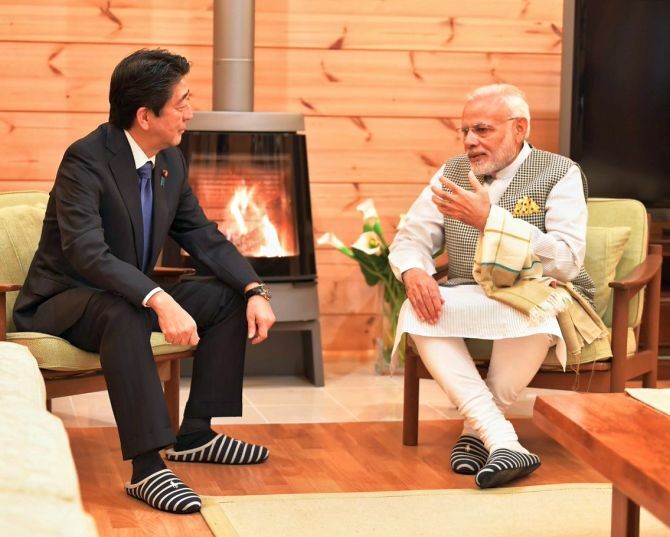 Modi said this his 12th meeting with Abe since he first visited Japan as prime minister in September 2014. 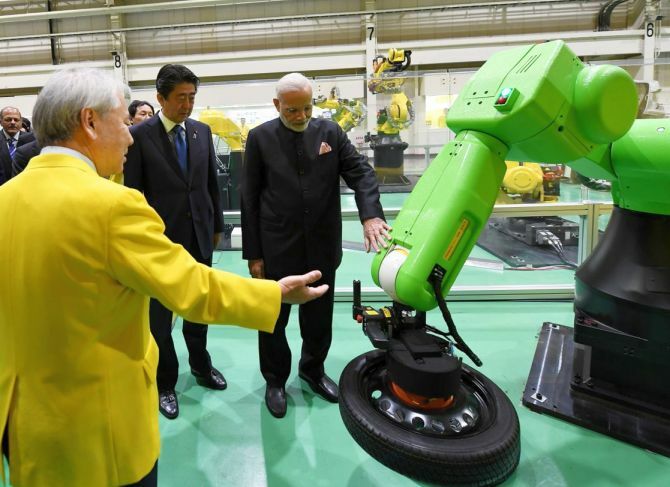 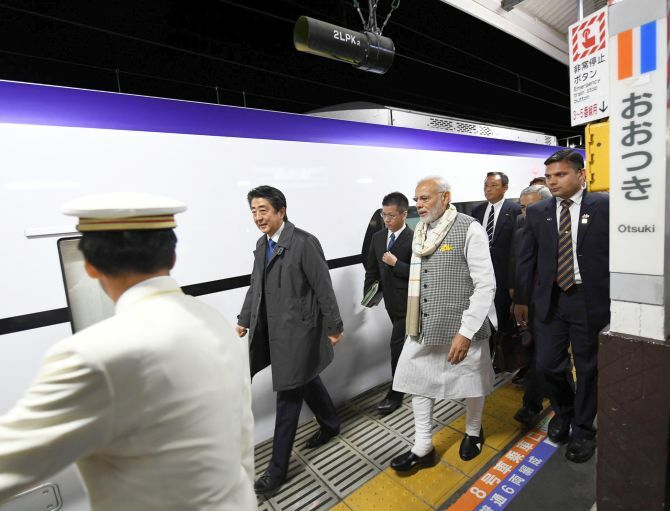 Here are some of the glimpses of Modi's first day in Japan. 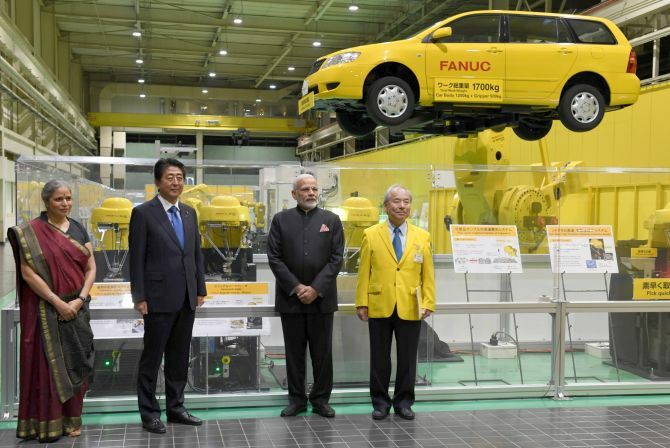 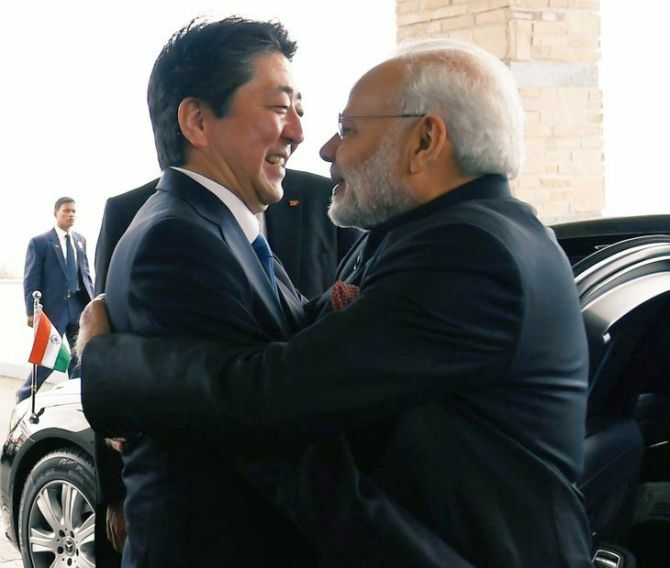 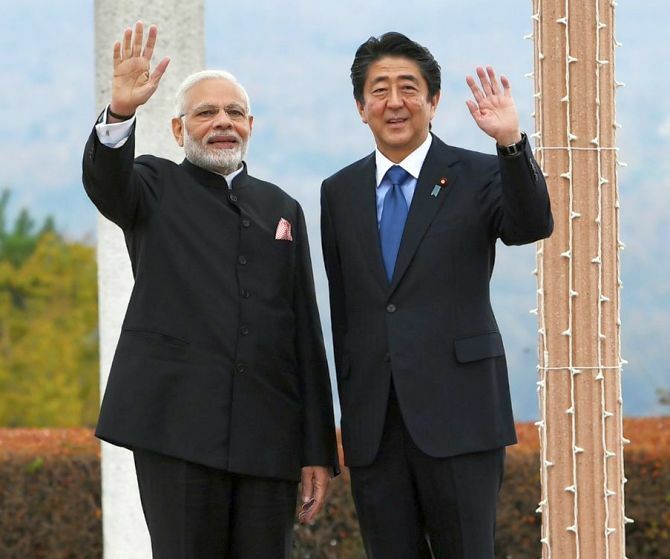 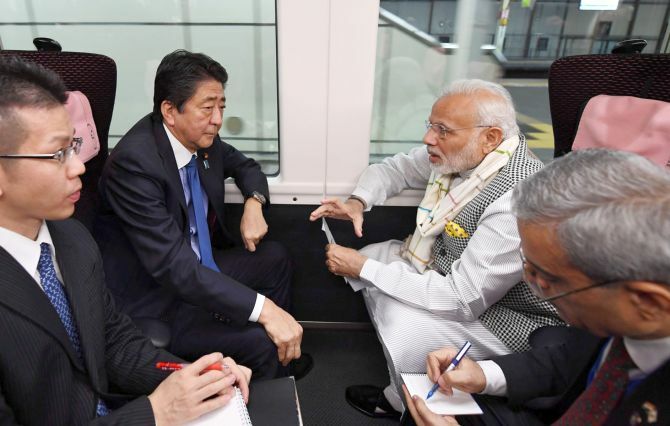 Can Modi, Abe completely rework the India-Japan ties?